Bonjour Friends, or should I say Hola!?! 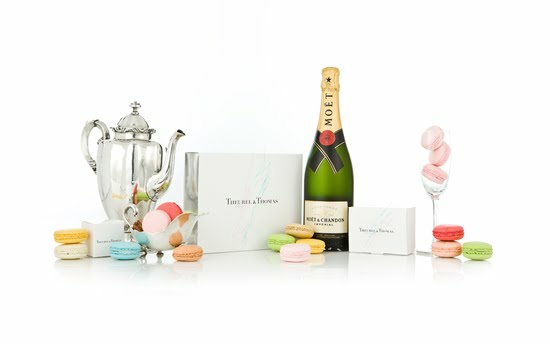 I wanted to share this little decadent treat with you today. Theurel & Thomas is a beautiful and visually stunning little French macaron shop in Mexico! That's right, Mexicos first macaron shop is located in the ritzy suburb of San Pedro. 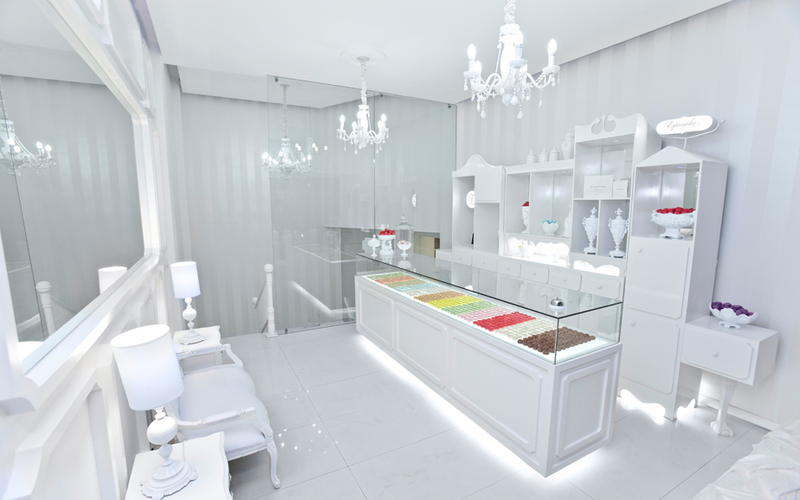 I'm not quite sure if my mouth is watering over the decor or the little pastries...it must be both. All of the interiors and branding were done by Anagrama. 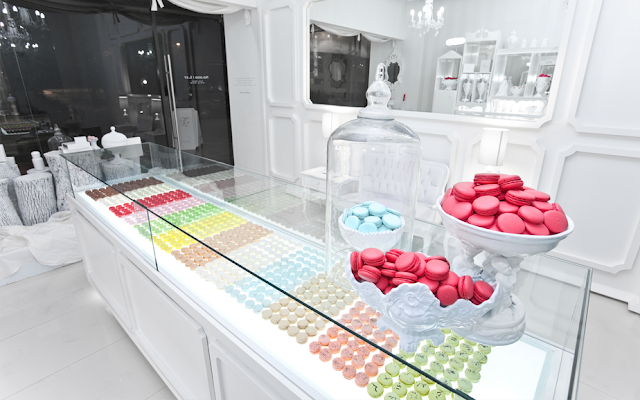 I love the stark White decor that contrasts and showcases the macarons. 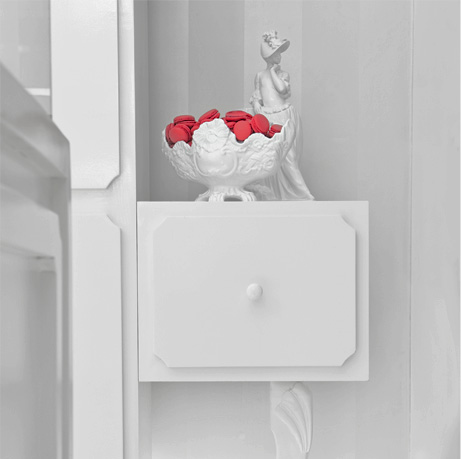 I am tempted to start filling lovely White vessels with macarons and adding them as decorative accents in my home, everywhere in my home! Hello Friends! I am so excited to write this post today. Today on my Facebook I saw the most wonderful post from the legendary Claudia from The Paris Apartment. She has just launched the most delicious and incredible App on iTunes!!! 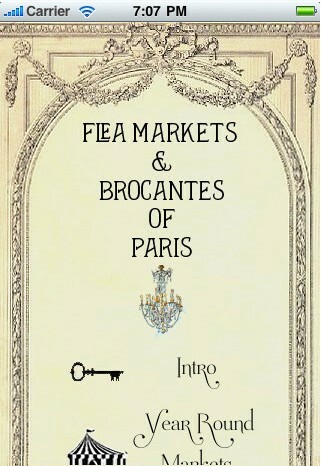 The app, Keys To The Fleas: Paris showcases Claudia's years of research and passion for all things Brocante and Paris Flea Market. 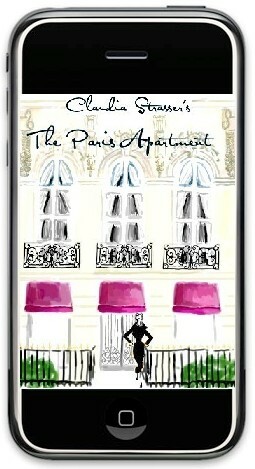 This exciting app is just dreamy and includes amazing illustrations by Elaine Biss. This fabulous new App is available for iTunes, iPhone, and iPad. I just spent the last few minutes browsing through it and I am literally swooning over the photo gallery and the illustrations. I can't wait to plan my next trip to Paris with this handy tool in hand. Even if a trip to Paris is not in your immediate future this app makes you feel like you just had a whirlwind trip throught the heart of the Paris fleas. Congratulations Claudia!!! and her fabulous book that has become a Decorating/Lifestyle bible for so many! Bonjour Mes Amis! Sorry for another book post, however, I am just so excited for this special little book to come out! 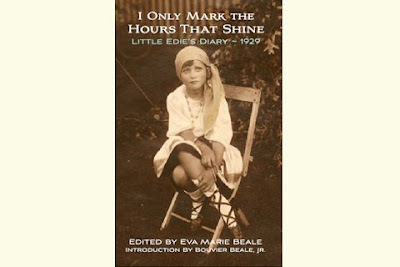 The Diary of little Edie Beale written everyday for the year 1928 when she was just 11 years old is being published and comes out on August 1st. 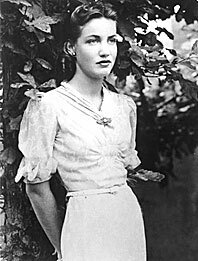 I can just imagine the glitz, glamour, and exclusive lifestyle she led at that age. Very excited!